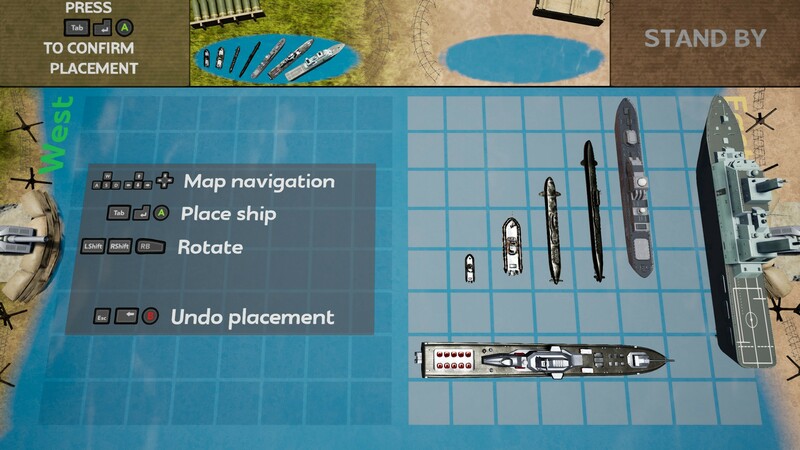 Warships 3D is customizable battleship-like game done in 3D environment with animations and cutscenes. Players can define their own rules like map size, which ships are available and at which events what weapons will be granted to player(s). Map view angle option is added. This can improve perception of depth compared to direct top-down view. After game being actively in development for over year now, it is finally becoming ready for release. Date has been set to 28th January 2019. In mean time, achievements have been implemented and few bugs sorted out. I would like to use this opportunity and say thanks to all people who were beta testing game and helping with finding issues. Should destroyed ships be shown? There is also classic mode in case that you don't want to do any customizations.